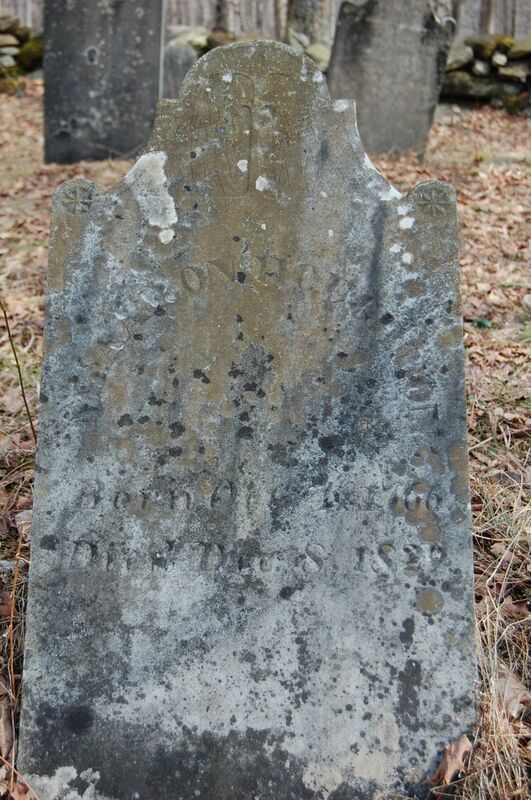 Marriage Dec 27, 1776 Petersham, Worcester Co., MA, USA, RWG:"wid's surname was shown as Houghton in the marriage records"
Burial Schenevus Cemetery, Schenevus, Otsego, NY, USA, section 7; GS: Hadassah, wife of Ebenezer Houghton, died Feb. 19 1837 ae 84 yrs 10 mo;(Cemetery, way up towards the back (up the hill away from Rt. 7). Problem JWH, MLM: Bd in conflict with only 4 children given by JWH; these are not his children per Rev. War Gen. Abs. Ebenezer Houghton and Hadassah Houghton declared their intentions of marriage on Sep 26, 1776 Petersham, Worcester Co., MA, USA. Ebenezer Houghton and Hadassah Houghton declared their intentions of marriage on Oct 19, 1776 Putney, Windham Co., VT, USA. Ebenezer Houghton married Hadassah Houghton, daughter of Simeon Houghton and Jerusha Taylor, in Dec 27, 1776 at Petersham, Worcester Co., MA, USA, RWG:"wid's surname was shown as Houghton in the marriage records." Aaron Houghton and Mary Houghton declared their intentions of marriage on Oct 26, 1788 Putney, Windham Co., VT, USA; Molly Houghton given; MLM: Polly, Oct. 31, 1812. Aaron Houghton married Mary Houghton, daughter of Abraham Houghton and Sarah Divol, in Nov 17, 1788 at Putney, Windham Co., VT, USA, Putney VR: "both of P."; p. 251 "[Molly Houghton, in pencil]"; Molly Wilson given; VT Div. of Records: Molly Willson; Putney Hx: Molly Willson. Aaron Houghton married Betsey Moore in Oct 26, 1815 md not in Putney VR, but reference to Aaron and Betsey as parents of Jason Moore and Abigail. Experience Pike married Deacon Cyrus Houghton Jr, son of Capt. Cyrus Houghton and Merriam Butler. Mary Taylor and Deacon Cyrus Houghton Jr declared their intentions of marriage on Aug 30, 1790 Putney, Windham Co., VT, USA; 2nd. Mary Taylor married Deacon Cyrus Houghton Jr, son of Capt. Cyrus Houghton and Merriam Butler, in Sep 5, 1790 at Boylston, Worcester Co., MA, USA. Lucy Wilder married Oliver Houghton, son of Capt. Cyrus Houghton and Merriam Butler. Mary Houghton and Aaron Houghton declared their intentions of marriage on Oct 26, 1788 Putney, Windham Co., VT, USA; Molly Houghton given; MLM: Polly, Oct. 31, 1812. 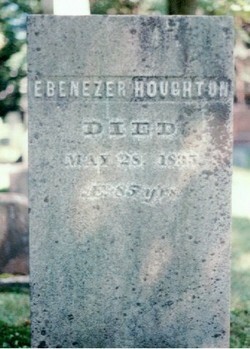 Mary Houghton married Aaron Houghton, son of Capt. Cyrus Houghton and Merriam Butler, in Nov 17, 1788 at Putney, Windham Co., VT, USA, Putney VR: "both of P."; p. 251 "[Molly Houghton, in pencil]"; Molly Wilson given; VT Div. of Records: Molly Willson; Putney Hx: Molly Willson. Betsey Moore married Aaron Houghton, son of Capt. Cyrus Houghton and Merriam Butler, in Oct 26, 1815 md not in Putney VR, but reference to Aaron and Betsey as parents of Jason Moore and Abigail. Levi Bixby married Ruth Darling in Oct 2, 1766 at Winchendon, MA, USA. Levi Bixby married Tabitha Boynton. Keziah Bixby married Richard Pearson in Jul 6, 1767. Keziah Bixby married Amos Haywood in Oct 6, 1785. Joshua Houghton married Ruth Kilburn in Jan 1, 1778 at Lancaster, Worcester Co., MA, USA, Joshua Houghton Jr and Ruth Kilburn; JWH: 1 Jan 1773. Eunice Houghton and Timothy Kendall declared their intentions of marriage on Sep 16, 1779 Lancaster, Worcester Co., MA, USA. 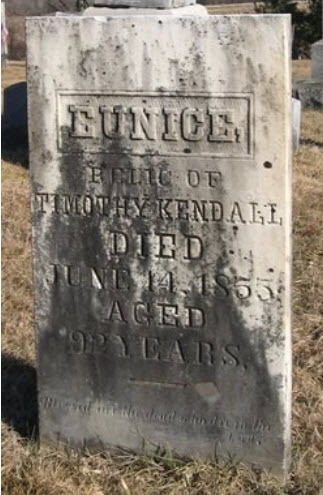 Eunice Houghton married Timothy Kendall in Oct 28, 1779 at Lancaster, Worcester Co., MA, USA. Ruth Kilburn married Joshua Houghton, son of Saul Houghton and Mary Matthews, in Jan 1, 1778 at Lancaster, Worcester Co., MA, USA, Joshua Houghton Jr and Ruth Kilburn; JWH: 1 Jan 1773. Mary (?) married David Houghton, son of Saul Houghton and Mary Matthews. Hiram Prescott married Phebe Bowker. Jonathan Prescott Jr and Mary Brigham declared their intentions of marriage on Sep 10, 1776 Lancaster, Worcester Co., MA, USA; Mary of Shrewsbury. Vashti Prescott and Rufus Wilder declared their intentions of marriage on Jun 1, 1775 Lancaster, Worcester Co., MA, USA. Peter Prescott married Mary Wilson. Peter Prescott married Polly Vinton.